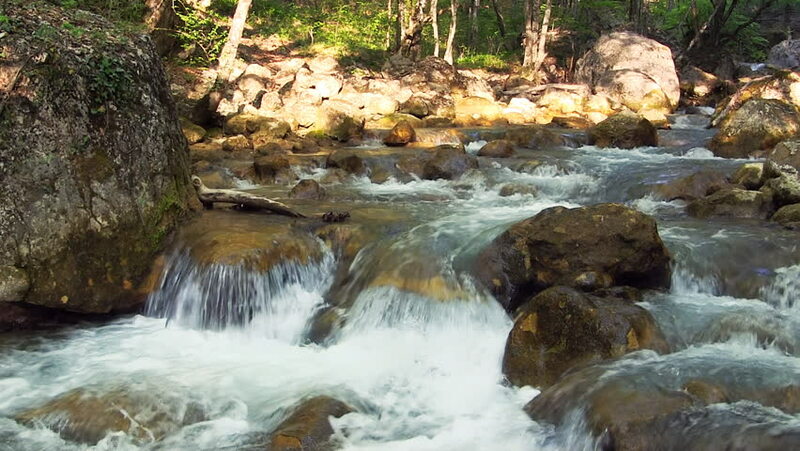 Beautiful mountain stream flows through a forest. 4k00:23View of spring merging with river and flowing down stream in Zion Narrows in Utah. 4k00:09Sunny forest river closeup with mossy rocks and waterfalls. Slider equipment used.